It’s election time again, and soon the Grand Junction Area Chamber of Commerce will issue it’s “2016 Voter Guide” in an attempt to try and influence how people in Mesa County vote on ballot measures and local elected offices. If you’re an average, hard-working working citizen in Mesa County, there is only one thing you need to know about the chamber’s voter guide: ignore it. Because the chamber doesn’t represent Mesa County’s working population. It exists solely to promote the financial interests of the few Mesa County businesses who pay its dues, and nothing more. What’s more, most businesses oppose measures aimed at helping workers and their families, so the chamber reflexively opposes any ballot measures that would benefit the thousands of workers and residents who spend money locally and really keep this area humming. The chamber also opposes even modest measures to increase funding for District 51 schools; it opposes requiring employers to offer health insurance to employees who work 30 hours a week, and their families. The chamber opposed a state bill (HB16-1001) that would have mandated equal pay for equal work for employees working on state contracts. The bill would have prohibited employers from paying lower wages to employees based on their gender, race or ethnicity. The chamber opposes laws to require the labeling of food that contains genetically-modified ingredients. The chamber opposes universal health insurance for all Coloradans, opposes measures to boost renewable energy and has even sued the Grand Valley Drainage District to try to get businesses a lower rate than homeowners on the recent stormwater fee increase. It may be named the “Grand Junction Area Chamber,” but many of its members, including highest-level members — big banks, hotels and telecom companies — are based out of the aream even out of state. Wells Fargo holds numerous high-level memberships in the chamber (one for each branch office), and is headquartered in San Francisco. The company that just purchased Rocky Mountain Health Plans, UnitedHealthcare, is based in Minnetonka, Minnesota. U.S. Bank’s headquarters are in Minneapolis, Minnesota. The Holiday Inn corporation is based in Atlanta, and so on. The “Grand Junction Area Chamber” actually has members in Denver, Arvada, Lakewood, Fort Collins, Greenwood Village, Centennial, Glenwood Springs, Moab and Provo, Utah, Reno, Nevada, Houston, Texas, North Carolina, Oklahoma and even Washington, D.C. Yet the chamber lobbies locally on behalf of all of these members. So why should companies on the front range, or in other states, have any influence at all over issues and candidates in Grand Junction? The answer is, they shouldn’t. But they do, and the chamber provides it to them in spades, exchange for money, and plenty of it — it’s your basic lobbying arrangement masquerading as membership in what is essentially a private club. A “Chairman’s Circle” membership in the chamber (the most exclusive, top-level membership) is now $6,225 a year, just a bit less than a top-level membership in the Bookcliff Country Club. This is not the kind of money most people around here can afford, but is a worthwhile lobbying expense for big corporations seeking to use the chamber’s out-sized political influence to help block increases in the minimum wage or measures to require giving workers additional benefits. Compared to the sheer number of average, hard working people in Mesa County, the Grand Junction Area Chamber of Commerce wields outsized political influence, and this has left voters in this area the losers time and time again. The Brady Trucking parcel by the Colorado river. The Chamber promised an influx of $70k/year jobs if voters upheld light industrial zoning for this parcel. Voters approved the measure, but the promise never came to fruition. 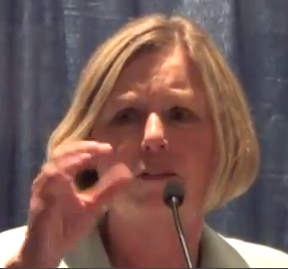 For example, in 2013, the chamber urged people to vote to rezone a chunk of land by the Colorado River back to industrial zoning on behalf of it’s member, Brady Trucking, promising citizens that the company would deliver high-paying “jobs and trails” to the community if the re-zone was approved. People duly approved the re-zone, but today, over three years later, the land remains the unchanged — full of old, falling down buildings and concrete slag; Brady Trucking has brought no new jobs or additional trails by the river, and citizens are left with another neglected, industrial eyesore by the river, like in years gone by. Another example is a community recreation center. For years, Grand Junction citizens have sought a community recreation center, like the ones Fruita, Delta, Montrose and Durango have built for their citizens. Over and over, Grand Junction City Council has denied area residents this amenity based on unproven claims that such a facility might possibly be financially detrimental to a handful of private businesses in town, like for-profit athletic clubs. (Full disclosure: the City of Grand Junction pays for a high-level membership in the chamber, even though it isn’t a business, and a significant number of chamber loyalists sit on City Council). The chamber’s influence over city council has helped thwart efforts to get a community center for decades. So don’t let the chamber deny progress for our area and its workers any more. When their voter guide comes out, remember it isn’t valid for most people who live here because the chamber doesn’t work for most people. They work on behalf of a relatively small number of businesses, many of which are big corporations that aren’t even based here. The bottom line: the chamber does not care about you; it does not consider the needs of average workers and their families in making political pronouncements about how to vote for local issues and candidates. It does not care about local poverty rates, low wages, starving families, homelessness or any other issues related to the quality of life for average working citizens. It cares about keeping pay low, keeping worker benefits as close to non-existent as possible, and lobbying on behalf of its dues-paying members. The most beneficial thing for working people in our area is to ignore the chamber and whatever they recommend, and be sure to vote in your and your own families’ best interests at the ballot box every chance you get. Keep up the great blogging of local issues. Well, Anne has sharpened her poison pen. Her spin and half truths follow her every paragraph and the spider web has convinced me, she’s likely displeased about something. Disgruntled about what Anne? r.e. : The Grand Valley Drainage District. The lawsuit had absolutely NOTHING to do with the twisted assumptions you vomited up about one landowner getting unfair or preferential treatment over another. THIS LAWSUIT is about TAXATION WITHOUT REPRESENTATION!! Me, personally, I am all for a tax to protect us from storm water. A TAX! What we have here is some “somebody” who decided they need more money. So, ..they just send out a bill to everyone. King George III would be so proud. This may even set precedence legally too. Bad, Bad Bad. This “tax” should be evaluated by the PUC, then if so, put on our property tax bill through mill levys and all the wonderful things that go along with being taxed on our property. The Chamber sued because property owners have NOT been represented, Anne has it all wrong. Her rant, completely wrong. I used this ONE EXAMPLE about her entire blog to show how Anne is likely angry and has got her spun up! That must be the ink in her poison pen. IDK? Isn’t that want it looks like to all of you too? She is not accurate. I don’t see her as reliable. Did she get anything right? Find the facts. Hers facts are wonky at best in my opinion. Inaccurate information of local issues I might add. John, You still have not done any research that comes anywhere near what Ann Landman does for her blog. I have seen her make corrections when a factual piece of information contradicts her original assertions. Making statements like “Inaccurate information” without proof tells me a lot about you. If you ever WANT to learn how to do real informational research, I would be happy to instruct you. 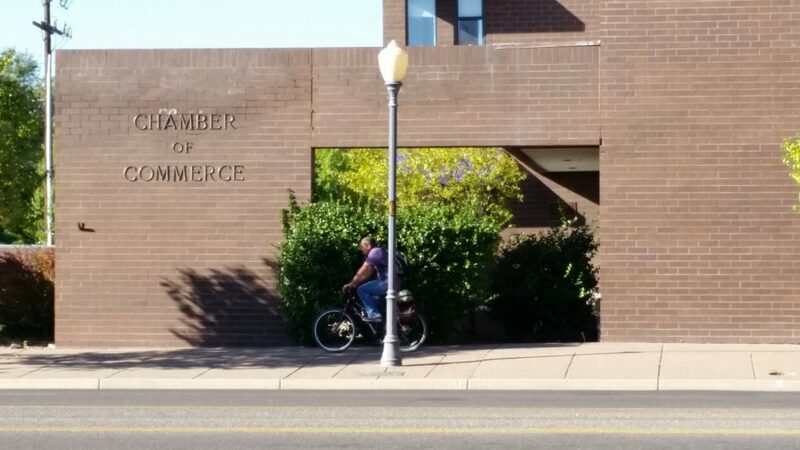 In the meantime, the Chamber of Commerce in this town is a true anathema and the converse of the word “commerce.” That is a fact bore out by what they support, to the deficit of us all. John, as I said in the blog, the stormwater fee rate per square foot of impervious surface is $36 per 2500 square feet, no matter who the customer is. Homeowners get charged at exactly the same rate as businesses. The difference is that most people’s homes aren’t the size of a WalMart or Hobby Lobby, and most homeowners don’t have huge, paved parking lots. The Drainage District asked the chamber to give them an alternative to the way they are charging, one they thought was more fair to businesses. The chamber pointed to a tiered system of stormwater charges used on the front range. The Drainage District checked into it, and found that system resulted in even higher charges to businesses than under the current model, so the drainage district actually saved you money by not adopting the chamber’s recommended fee model. The drainage district then asked the chamber to supply another alternative they found acceptable. The chamber never answered them. Instead, they just filed a lawsuit to push their case. Perhaps you can check into smaller quarters for your business, or propose a different model for stormwater fee charges, since the chamber was unable to come up with one that business owners would feel is more fair. You give a lot of rhetoric in your response. At the end of the day, businesses are charged more than residential. Anyone can go to thedrainagedistrict.org and look up the fees for themselves. In an economy that’s not doing well in Mesa County, any extra taxes (or fees) won’t help businesses or consumers. Upon more thought of your response, I notice how you declare that most people’s places aren’t the size of “Walmart or Hobby Lobby”. Why did you choose those two? It seems odd to me that you chose two businesses that are under the spotlight for being religious or offering low wages. Shame on you for that connection. All businesses are subjected to the same fees, regardless of what they are. Quit putting rhetoric into your responses. As for your suggestion on maybe I should be in a “smaller space” maybe you shouldn’t tell me how to run my company. The facts are John, that the drainage district has no money. Places flood. Development was allowed in areas that drain poorly and extended the drainage district’s area of responsibility…ergo the need for money to make adequate drainage so BUSINESSES and HOMES and roads don’t flood causing damage that increases insurance costs, eventually for everyone. If you are a business person, instead of snark, maybe you would be better off attempting to research the financial history of the drainage district to see if you can come up with an alternative manner to manage the fees. The courts decided the district CAN charge fees. If fees had been charged at a lower level all along, we all would have been better off. See if you can find out who got the original fees lifted. I picked them because they are both down the street from me, but thanks for reminding me about all their transgressions and injustices. You’re welcome. I love my WMT stock. I supposed the correction should have read “Chamber member businesses are trying to get a lower rate….” than everyone else. Completely inaccurate. The Drainage District was provided multiple different avenues to look at for rate structures. They neglected to do so. Period. To blame the CofC for this entity taking the path of least resistance and not doing their due diligence is just casting blame where it does not belong. Why don’t all businesses and homes in our area have to pay the bill? Don’t you feel slighted that you have to pay but someone in Orchard Mesa does not? 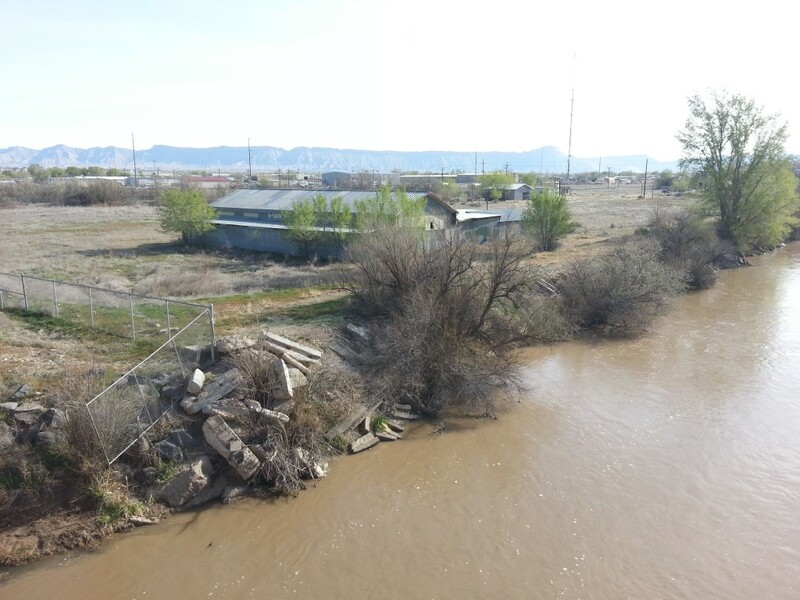 Mr. Sanchez, Orchard Mesa is south of the Colorado River, and is not in the GVDD’s area. So no, I don’t feel slighted that they don’t have to pay the fee. I DO feel slighted by the county commissioners longtime neglect of proper planning, lack of enforcement of necessary and sensible drainage requirements, letting developers off the hook for proper construction and development fees that could have prevented this whole mess. Now we all have to clean up the mess, businesses and residents both. You’re wrong again. My business was built in 2008 and the County REQUIRED us to put an underground retention pond in for runoff of the building and pavement. Next time you get away from your computer coming up with extreme views, notice all the retention ponds that surround businesses. They aren’t ponds that you think are pretty or for ducks to wade in, they are for runoff!!! Educate yourself! John, you are only one business. There are thousands of businesses here. I have lived here for 34 years and watched development issues for a long time. I have attended many county commissioner meetings where the commissioners unanimously approved developments that their Planning Commission and county planning department all turned down unanimously. The commissioners have approved developments on areas where the water table is just inches from the surface; they’ve approved developments so close to the airport that the airport authority told them it would compromise the airport’s eligibility to apply for FAA grants, they’ve approved developments up against the bluffs above the river that resulted in houses falling down the bluffs; they’ve approved developments without requiring curb, gutter and sidewalks (sure, they required these things of SOME developers, but let others off the hook for them, making for uneven development); they’ve approved developments where the drainage feeds back into the irrigation system; they’ve approved developments that don’t comport with the land use plans they paid tens of thousands of dollars to develop. They’ve approved lots of developments without concomitant planning to accommodate the increased traffic from them (no widening of bridges over the canals, no requiring extensions of amenities like bike lanes, sidewalks, crosswalks, street lighting). All this flim flamming and neglect of planning is coming back to bite us now. Chamber of Commerce institutions nationwide seem to have this corrupt agenda. Thanks for bringing this out. Then google it and raise a storm politically against designing a future Fukishima/Chernobyl just upwind of us here in Western Colorado. Would Grand Jnctn C of C help defeat this monster to ensure any future at all for us here? Give them a call. Been thinking the same for a few years. This was a great article thank you Anne Landman. Before the election in 2013, the Brady Trucking Company had been in talks with the City of Grand Junction on a trade of properties that would have moved Brady to an advantageous and cost effective physical position in the I-70 Industrial corridor. Brady was and is spending way too money driving their semi-diesel trucks quietly out of the circuitous neighborhood down on the river. The trade effort was lead by Bennett Boeschenstein for the city and Western Colorado Congress of Mesa County. The effort was narrowing down the agreement, when Schwenke literally stepped in and halted the negotiations by promising Brady, present and future “support” for the land on the river (insinuating the forcing of the City to pay far more then the property’s actual value). In other words, in the Chamber’s usual way, they essentially doomed Brady Trucking with piecrust promises, only to abandon them when Brady had no more publicity value to the Chamber. Schwenke’s Chamber only intervened to make the appearance for the sake of the Oil and Gas culture. Maybe, John Lamicq can get the the Chamber of Commerce to help him like they did Brady Trucking. I’m not a member of the Chamber of Commerce nor have I ever asked for their help. Maybe you shouldn’t be ignorant and assume things.